Mr. Colleluori has been with Figari + Davenport since its inception. His practice encompasses a wide variety of business and commercial disputes. 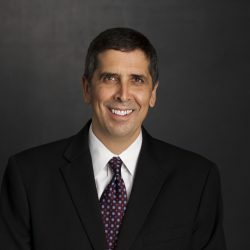 Mr. Colleluori has represented directors and officers, underwriters, and accountants in securities litigation, Texas banks in lender liability and borrower litigation, and major corporations in fraud, employment, tortious interference, and other commercial disputes. He also has handled professional negligence matters, a significant number of class actions, and numerous other types of commercial lawsuits. Represented a major motion picture exhibitor in a highly-publicized land use dispute, in which an interlocutory summary judgment ruling and favorable appellate decision led to a successful settlement on behalf of the firm’s client. Successfully represented Don Nelson in his suit to recover $6.5 million in earned deferred compensation from the Dallas Mavericks. Successfully defended a Texas bank in a three-week jury trial of a multi-million dollar lender liability action.